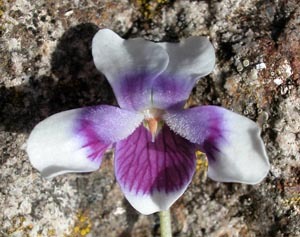 Viola hederacea is a widespread and abundant native herb, especially in dry sclerophyll forests. It is a perennial with slender stolons, kidney shaped or almost circular leaves, often with a few coarse teeth. 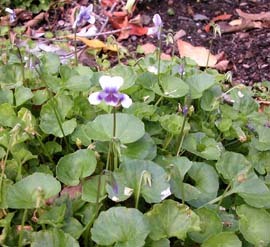 The flowers are conspicuous, mauvish petals that are white towards the tips.